You can listen to a podcast review of this film here or subscribe to Bina007 Movie Reviews in iTunes. 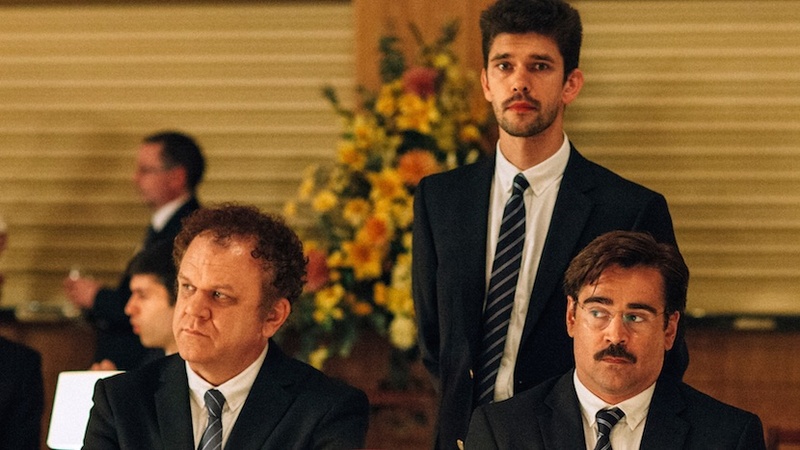 THE LOBSTER is the latest film from the fascinating Greek director Yorgos Lanthimos and his first English language feature. It’s a savage social satire on the modern pressure to date and find a perfect match - the superficial metrics upon which people find their partners - and the judgment thrown on the weirdos who stay single. Colin Farrell plays one such schlubby loner who checks into a hotel where he has 45 days to find a perfect partner. If he fails, he will be turned into the animal of his choice - a lobster. The pressure is harsh - Ben Whishaw plays a grieving widower who checks in a mere six days after his wife has passed away. As the movie passes into its second hour, Farrell’s character escapes into the woods and joins a renegade band of militant Loners, as well as the soon to be love of his life, played by Rachel Weisz. It’s credit to Lanthimos that he shows the loners to be as militant as the couples, and for exploring just how far one should go for the person one loves. The resulting film is darkly funny, deliberately paced and framed, and provocative. It won’t be everyone’s cup of tea because it’s challenging both in form and content. For instance, a lot of the performances are deliberately flat - not least Rachel Weisz’ voiceover, because I think Yorgos Lanthimos is making a point about how modern social mores have forced us all to become bad actors, carefully manicuring our Facebook profiles and pretending to be happy in bad relationships. It’s also worth pointing out that as funny as this movie is, it also contains flashes of horrific violence. I personally found this mix fascinating, provocative and memorable. And I’d encourage you to take a chance on this film. 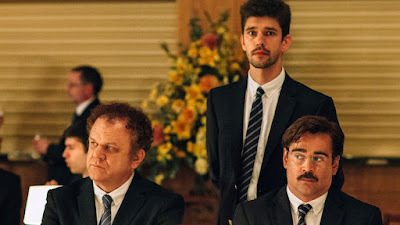 THE LOBSTER has a running time of 118 minutes. The film played Cannes, where it won the Jury Prize and a Special Mention in the Queer Palm category. It also played Toronto and London 2015 and will be released in the UK and Ireland on October 16th, in the Netherlands on October 22nd, in France on October 28th and in Turkey on October 30th.